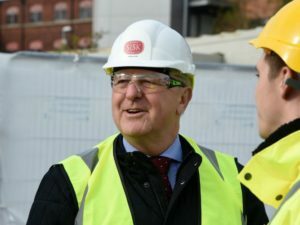 Steve Bowcott, Chief Executive Officer, John Sisk & Son, talks to Barry McCall about the challenge of leadership in a rapidly changing construction sector. Steve Bowcott could have been in the Royal Air Force, but, fortunately for the Irish construction industry, he chose a career in civil engineering. It wasn’t necessarily a love for the builder’s dust that influenced this decision. The Welshman freely admits that the identity of the individual making the civil engineering offer – a former Wales and Lions rugby captain – had more than a little to do with it. That chance encounter led to a stellar career at the very top of the UK construction industry with two decades spent at the Mowlam Group. This was followed by a number of years as Chief Operating Officer of the multi-billion pound Kier Group. Three years ago, he moved to Ireland to take the helm at Sisk. 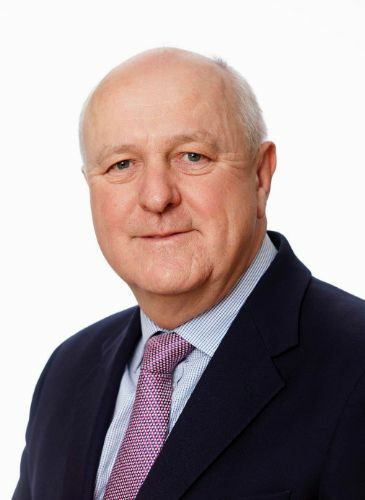 “I decided to retire from the board of Kier in 2015, having worked for PLCs for 40 years and I joined Sisk after that. It was very interesting moving from PLC life and joining a private company with a great history with great family ownership. It wasn’t only the attraction of getting closer to the mortar face that drew him to Sisk. “Being a Celt, I’ve always had an affinity for Ireland,” he notes. “I was involved in the acquisition of Irishenco during the 1990s during my time with Mowlam. The ownership structure of Sisk wasn’t the only difference. “I was a bit surprised about how ambitious the company was about taking on major complex projects,” he recalls. This does not mean that things cannot be further improved. Attracting people into the industry is a challenge, however. Brexit will be another challenge. Housing is a challenge not just for the industry, but society, Steve Bowcott contends. “Sisk has a proud tradition of building social housing that stretches back to the 1960s when we built fast-track affordable homes primarily in the Cork and Dublin regions,” Steve says. “This continued through the 2000s. Sisk Living was set up as a specialist housing delivery division of the company in mid-2016. Steve Bowcott sees bright prospects for Sisk and the industry in the future. Steve Bowcott is in no doubt that if there were more women on sites and in the boardrooms, there would be better outcomes overall. Steve Bowcott concludes by making an impassioned plea regarding the health and well-being of construction workers. First published in ‘Construction’ Top 50 CIF Contractors Special Issue.